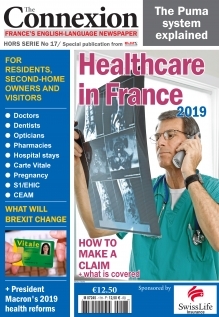 This updated, 2019, 64 page (+ 4 cover) edition of our healthcare helpguide comprises information about accessing healthcare in France both as a resident, second-home owner and visitor. It includes an explanation of the healthcare rights of residents, whether working, state pensioners from abroad or early-retirees, and how the French system works. * What is an EHIC and how do I get one? If you select the PDF version of the guide it will be available to download from the Download section of your MY ACCOUNT space on our website. MY ACCOUNT is accessed from the top right of the website when logged in.